My love for Lise Watier continues as I try more and more of their products. 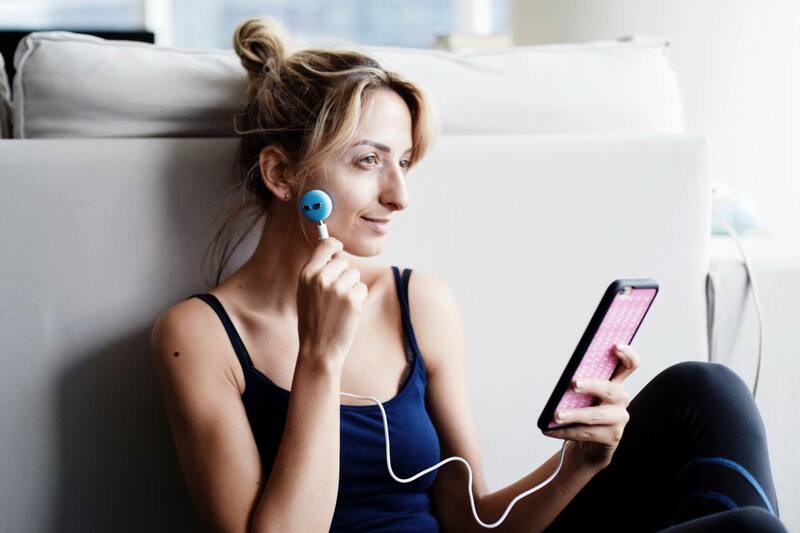 Just this week I received a package in the mail filled with Lise Watier’s latest skincare line, Hydraforce, and this interesting contraption that looked like a cross between a set of earbuds and a Tamagotchi. 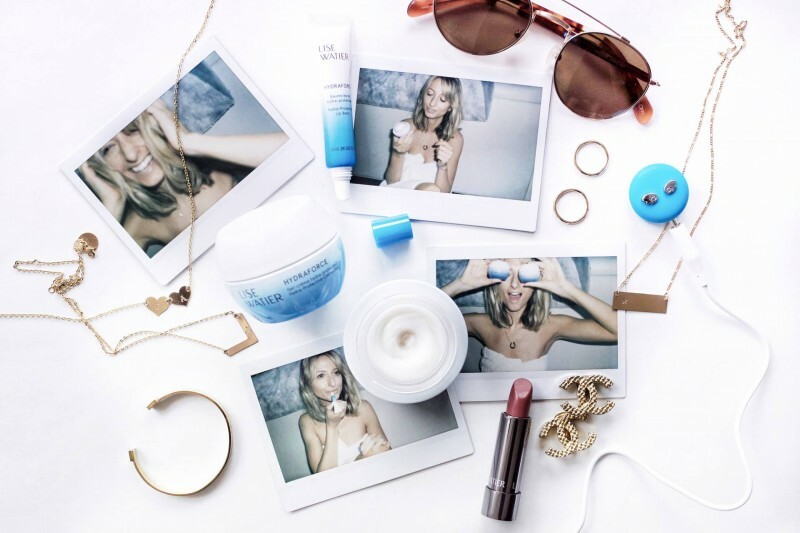 I later found out it’s a smart skin device that connects to your smartphone and allows you to test your skin’s hydration levels through the Lise Watier Smart Skin Detector App. How cool is that? The Hydraforce trifecta, if you will, is made up of three products: A gel-creme, a comforting creme and lip balm. The moisturizers contain one of nature’s strongest plants, Gaspé Algae, that grows in the Quebec Atlantic Coast and can thrive in extreme weather conditions. The algae is extracted in a painstaking process that involves cutting it by hand, freezing it and filtering it twice. But it’s all worth it because it has shown proven signs of reinforcing the skin’s barrier, prevents water loss, and stimulates keratinocyte cells. The best part? You can see results in just 15 days. The line is ideal for women of all ages and with all types of skin, looking for overall hydration. My skin type: I have dry to combination skin – but I need a lot of moisturizer. I would use the Hydra-Protective Gel-Creme in the summertime and then switch to the Hydra-Protective Comforting Creme in the winter. What I love is that neither of them leaves a greasy finish on my skin. It’s totally matte. The Hydra-Protective Lip Balm is also super moisturizing (and it smells ah-mazing)! Try it for yourself! 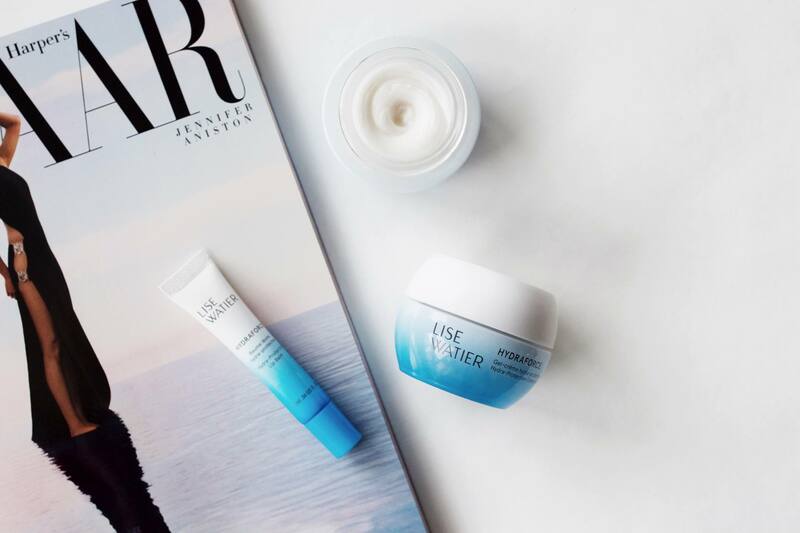 The Lise Watier hydration test cross-Canada tour is stopping at Hudson’s Bay in Newmarket today from 12-5pm. They will be doing hydration tests on the spot and giving out free samples. Follow along the #GetInTheBubble hashtag on social media. Happy Hydrating! This post was sponsored by Lise Watier however the opinions and thoughts are my own.